On this three-hour introductory tour of Venice, we will explore St. Mark's Square and the Rialto Bridge area, getting to know the city and its origins. Escorted by a history expert, we’ll learn how the city of Venice grew from a series of tiny islands to the most powerful republic of its day. 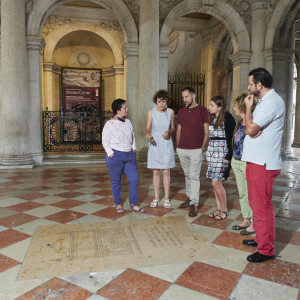 We will also get oriented to the contemporary city layout and learn how to navigate and explore this unusual metropolis on our own during our time in Venice. 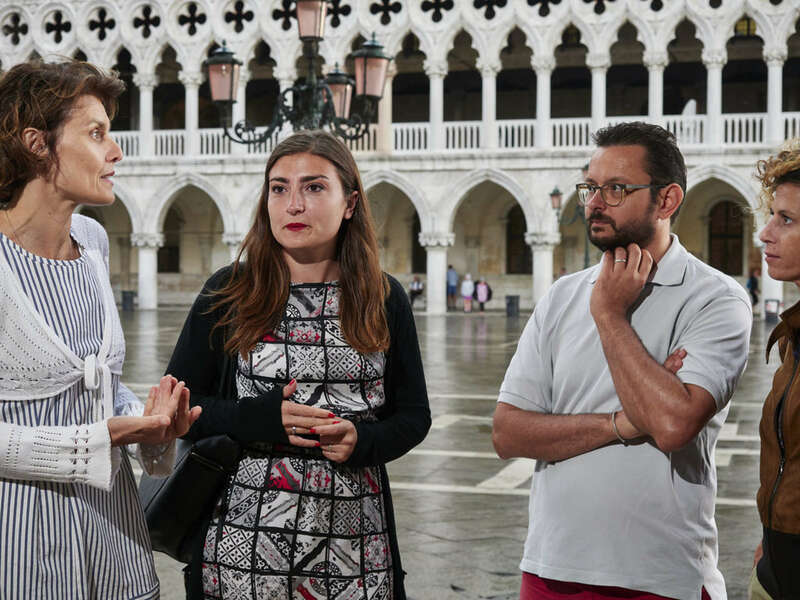 We’ll begin the walk in Piazza San Marco, or St. Mark's Square as its known in English, the most renowned public space in the city and, historically, its social and political focal point. 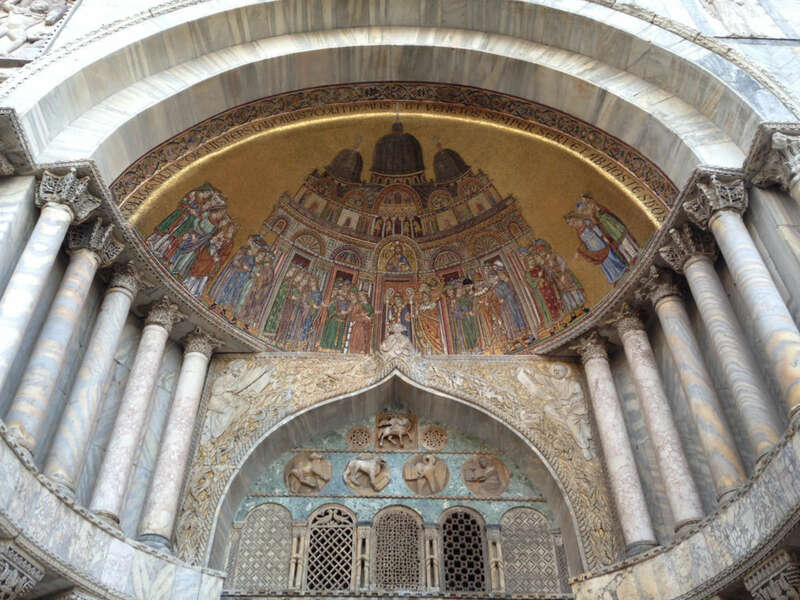 While here, we’ll explore the basilica of Saint Mark, built as the private church of the Doge, which was created in the early 9th century after Venetian merchants plundered the relics of Saint Mark the Evangelist from Alexandria—marking a symbolic turning point for a city that was beginning to dominate the Mediterranean. 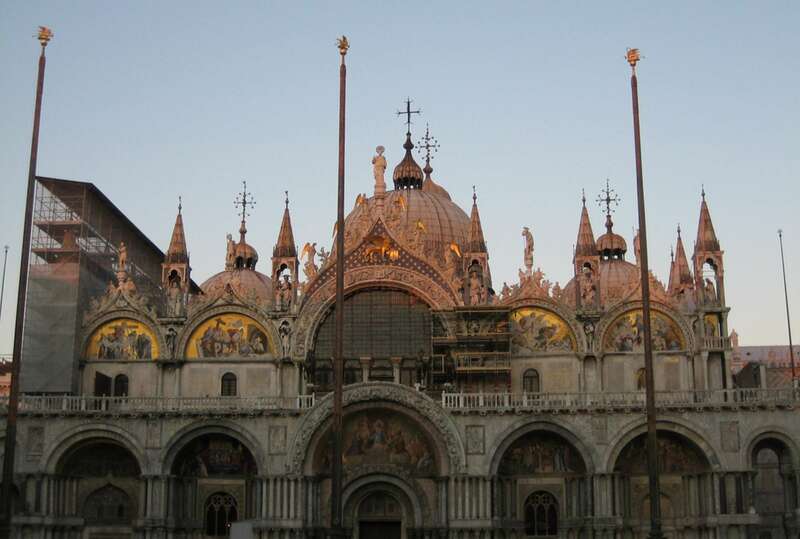 We’ll also dissect the exterior of the Doge's Palace, whose distinctive facade mixes architectural elements lifted from the Eastern tradition with Gothic designs. For a more in-depth analysis of this building, please consider our Doge's Palace Tour. Exiting from the square, we’ll get off the beaten track to the small canalside alleyways leading from St. Mark’s Square to the Rialto Bridge. Our guide will share stories of Venice’s rich history and point out examples of its unique architecture. We’ll take in the surrounding sestiere and a handful of churches, palaces, and public spaces that give evidence to the city's relationship with the East and its influences on architecture and daily life. As part of this, we may discuss Marco Polo’s reported ancestral home Corte del Milion, the trading center Fondaco dei Tedeschi, small clusters of Armenian homes and churches, and, finally, the Grand Canal and the Rialto Bridge. 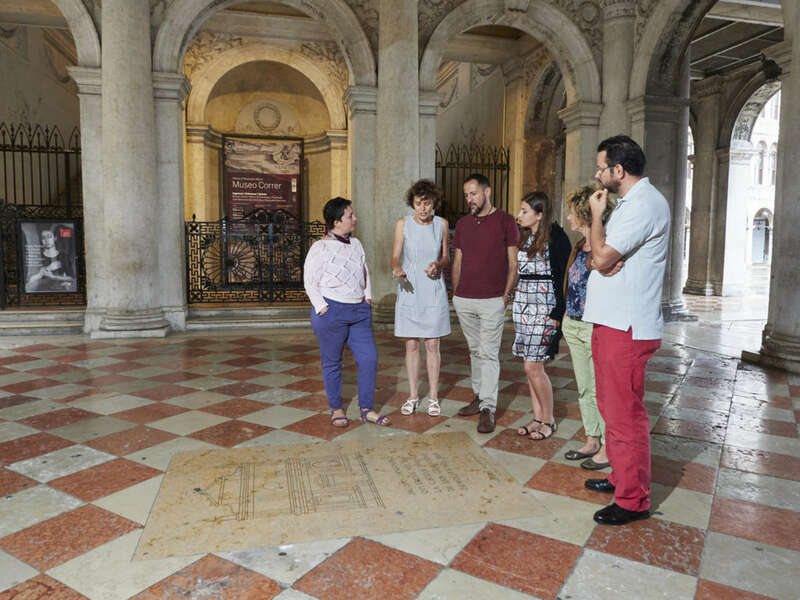 We’ll end the tour understanding the layout of the city, the history of the Republic and some practical tips to use for the rest of our stay in Venice. 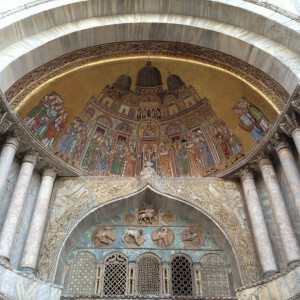 For a deeper look at the built environment of Venice try our Venice Architecture Tour. 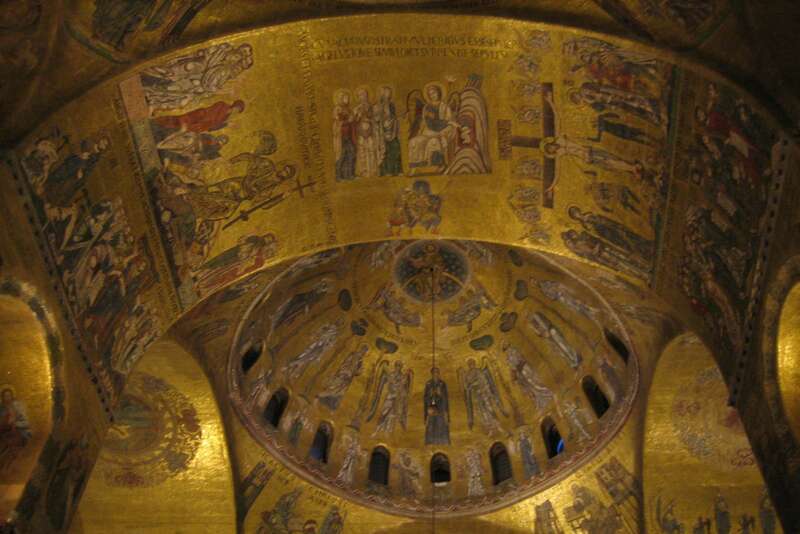 We pre-purchase timed tickets to enter St. Mark's Basilica between April 1 and October 31 in accordance with Basilica policy. From Nov 1 - March 31, your guide will buy admission to the Basilica upon entering. 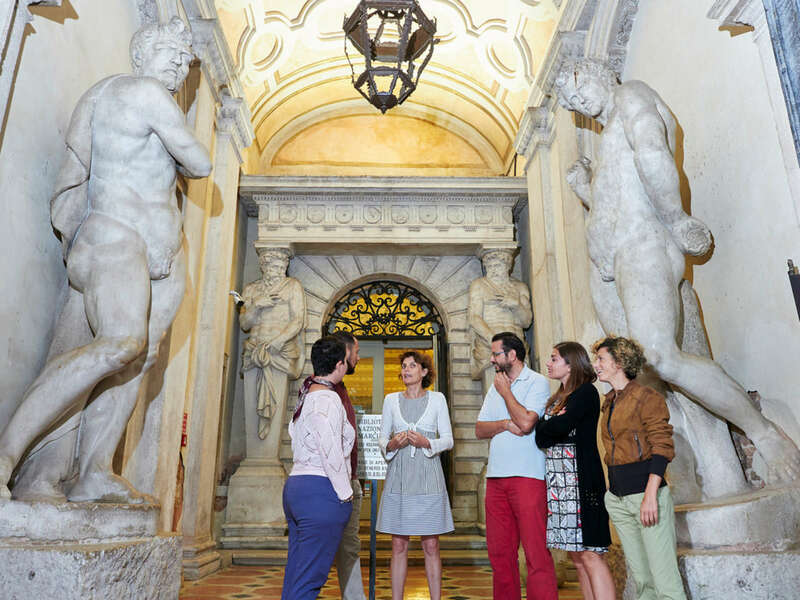 Admission to The Pala d'Oro and the Museum and Terraces cannot be pre-booked so you will need to wait on line with your guide to pay and enter. . Please note that there are no skip-the-line tickets available for the Pala D’Oro or the Museum and Terraces. What do we cover on this tour? 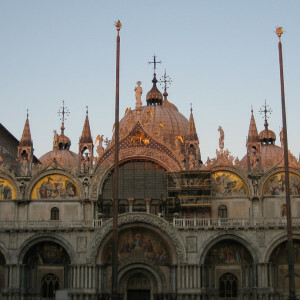 This tour will begin in St. Mark's Square and spend time within St. Mark's Basilica. You will then walk to the Rialto Bridge area passing through side streets and quiet off the beaten track areas of Venice. 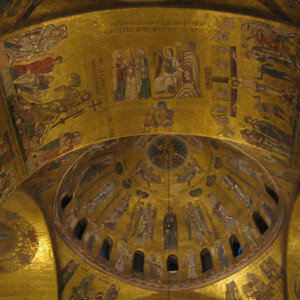 Along the way, you'll see some examples of Byzantine and Baroque architecture. Is the Pala d'Oro included in the walk? We may view the Pala d'Oro during the walk subject to line wait times. 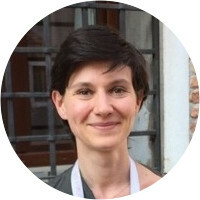 Originally from Genoa, Erika moved to Venice ten years ago to study Oriental languages at Ca' Foscari University, where she graduated with a thesis on Japanese art and architecture. She has a keen interest in the art and history of Venice and worked for some important cultural institutions, such as the Peggy Guggenheim Collection, where she was in charge of special events, and the National Oriental Museum at Ca' Pesaro, where she studied and cataloged part of the collection. Her time at the Guggenheim collection sharpened her knowledge of contemporary art, which she continues to study. She is now a licensed tourist guide for the city of Venice. Originally from Venetian mainland, Matteo has lived in different countries, which sparked his interest in art history and archaeology. He holds a B.A. in Cultural Heritage Preservation and an M.A. in Archaeology from the University Ca' Foscari, Venezia. 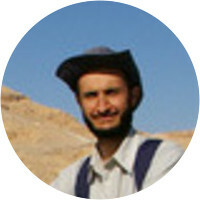 He specialized in Islamic Archaeology with a thesis on Medieval Egyptian ceramics, focusing on the sherds found at the Italian & Egyptian Center for Restoration and Archaeology (CIERA) in Cairo. Matteo chose to specialize in Islamic Archaeology, due to his personal passion and curiosity for the Islamic World: this particular interest was developed after several travels and stays in different Middle Eastern countries. 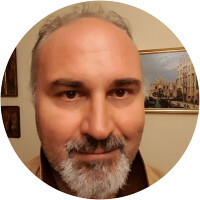 He works as a freelance archaeologist following projects in different locations of the Veneto and also teaches history courses in local schools. In addition, he continues a close collaboration with the CIERA where he is involved in leading archaeological excavations. Davide was born in Venice he graduated from Ca' Foscari University with a degree focusing on the history of architecture and medieval history. After a specialization course in Innovative Tourism Marketing his interests in sustainable tourism began. He also has a special research interest in Venetian military architecture and military art theory. As a coordinator of a European NGO he organized cultural seminars in many European universities. 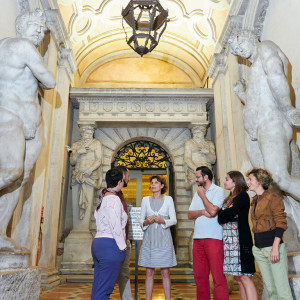 He also spent time teaching the history of Italian art at the University of Turku in Finland. A passion for Venice, was what brought him back to his hometown, where his cultural interests developed into a profession, applying concepts of sustainable tourism crucial to preserving his city. Matteo is both dedicated and fascinating. 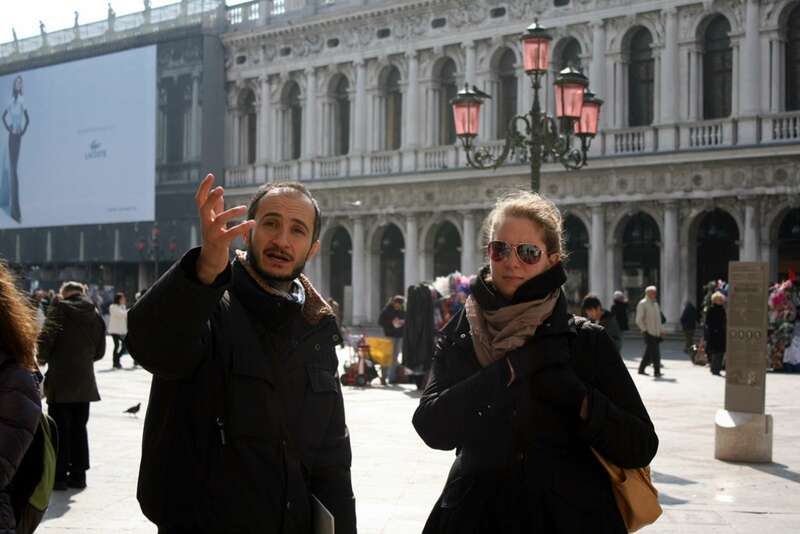 His broad knowledge of archaeology, Venetian history and present-day life in Venice makes him an outstanding tour guide. Our tour with Matteo was excellent. His background in archeology and experience as a guide added immensely to the tour and he was a warm and engaging guide. We enjoyed the tour very much. Sara has the right touch with families - so engaging, knowledgeable, and interesting. She brought the topics to life for our boys (ages 11 and 13). They are still talking this evening about the part of the tour that focused on Marco Polo - so many interesting facts that we did not know (and how cool to see where he lived!). She did a great job on the basilica and provided enough detail (but not overwhelming) so that the boys could get the main facts and find it interesting. Great tour!